We love seeing your pictures at Angelo’s! 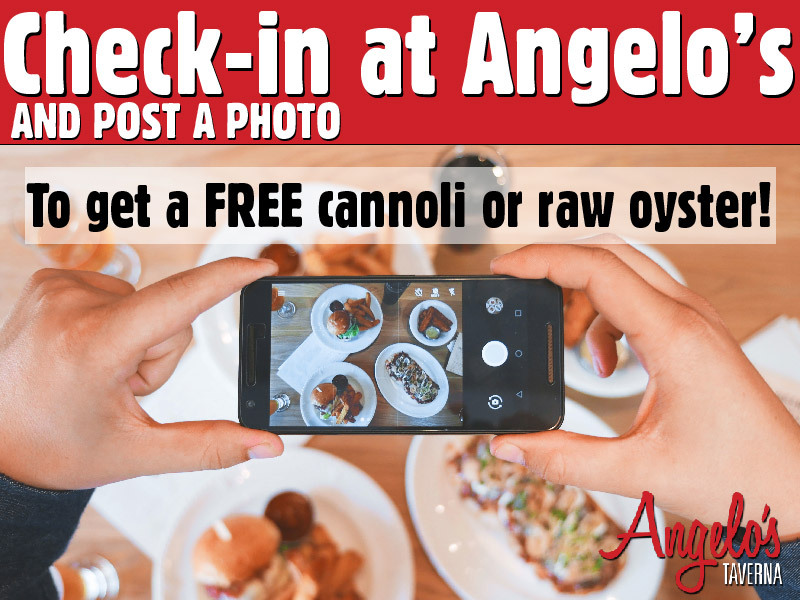 So next time your here, check-in on Facebook, show your server and we’ll reward you with a free cannoli or raw oyster! Thanks for stoppin by!